Judge Matthew Katz on Friday agreed to place a $10,266,000 lien on land that encompasses the headquarters of the state's Roman Catholic diocese at the request of the victorious plaintiff in a just-completed clergy abuse trial. Katz, in a brief order approving a "writ of attachment" on the North Avenue property, said the plaintiff had proven that he had a "reasonable likelihood of success" of ultimately prevailing in the case, which is expected to be appealed. 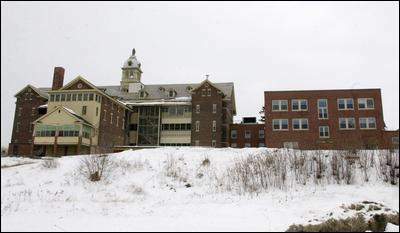 The headquarters of the Roman Catholic Diocese of Burlington on North Avenue includes the former St. Josephs Orphanage at left and the newer Bishop Brady Center. Katz wrote in his order that part of the reason he took the action was because the diocese might not have insurance to pay the money, if the case is upheld on appeal. "The court finds no liability insurance, bond, or other security known or reasonably believed to be available to satisfy a judgment," Katz's order said. The diocese, which has been unable to locate the insurance policy it had at the time the clergy abuse in question occurred, has sued its insurer in federal court on the matter. Tom McCormick, a lawyer for the diocese, said the action taken by Katz was not unexpected. "A writ of attachment is a standard post-judgment course of action," McCormick said. "We are going to appeal the case. The writ won't affect the appeal and it won't affect the operations of the diocese." Friday's move by Katz came three days after a Chittenden County Superior Court jury found that the diocese engaged in the reckless, negligent supervision of the Rev. Edward Paquette, the priest who the plaintiff said fondled him between 40 and 100 times between 1976 and 1978. The Burlington Free Press does not identify the victims of alleged sexual abuse without their consent. Evidence at the six-day trial showed the diocese knew Paquette had molested boys at parishes in Massachusetts and Indiana before hiring him 1972, then chose to keep him on as a priest after he was accused of molesting boys in 1974 while serving as a parish priest in Rutland. The jury awarded the plaintiff, now 40 and a Lakewood, Colo., resident, $950,000 in compensatory damages and $7.75 million in punitive damages, meant to punish the diocese for its conduct in hiring and retaining Paquette. The diocese argued that it relied on the judgment of church psychologists when it made personnel decisions regarding Paquette and should not be punished now for incidents that took place more than 30 years ago. The $10,266,000 figure includes the $8.7 million in damages awarded by the jury plus $1,566,000 to cover interest on the damage award that is expected to accumulate while the case is under appeal. "We've gotten the judgment and we're entitled to obtain security," Jerome O'Neill, the attorney for the plaintiff, said of his decision to seek the lien. "That's what we've done." Contact Sam Hemingway at 660-1850 or hemingway@bfp.burlingtonfreepress.com.